My mother used to try to make me eat broccoli rabe. I never took a liking to it because it tasted too bitter. She made it with olive oil and tons of garlic. Back then growing up, I had a very bad acne problem. She used that against me and said, "You know Deb, this will clear up your acne if you eat it." And from that point on, I acquired a taste (forcefully mind you) for broccoli rabe. I remember the leaves being very soggy, and when I was offered an appetizer of broccoli rabe at an Italian restaurant nearby, I thought they had undercooked it. It was actually cooked the right way. 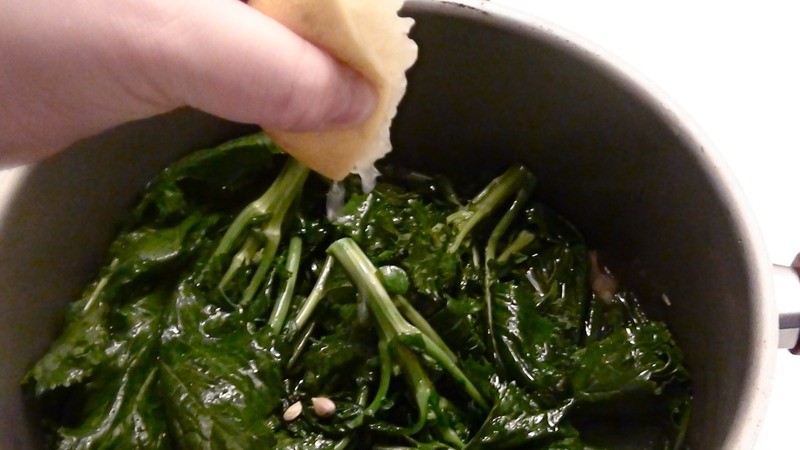 So between my mom's way and the restaurant's way, I took on a new spin on how to cook my own broccoli rabe. I also throw some special treats in there like mushrooms or sausage and flip it in a pound of linguini. To. die. for. I also add a bit of white wine and lemon. *Calcium- Rabe is a great source of calcium, which in addition to helping prevent osteoporosis, may assist in weight loss. *Vitamin K- Rabe is rich in this vitamin, which helps the body use calcium and assists in processes like blood clotting. 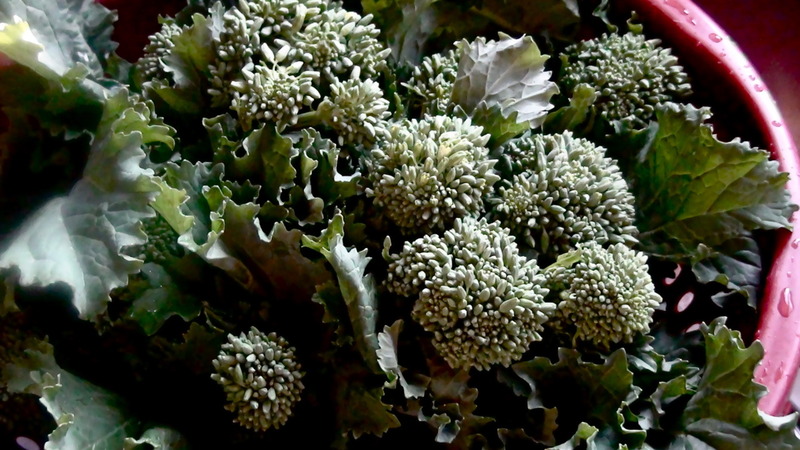 *Folate- Broccoli rabe contains this B vitamin which is helpful in preventing heart disease. 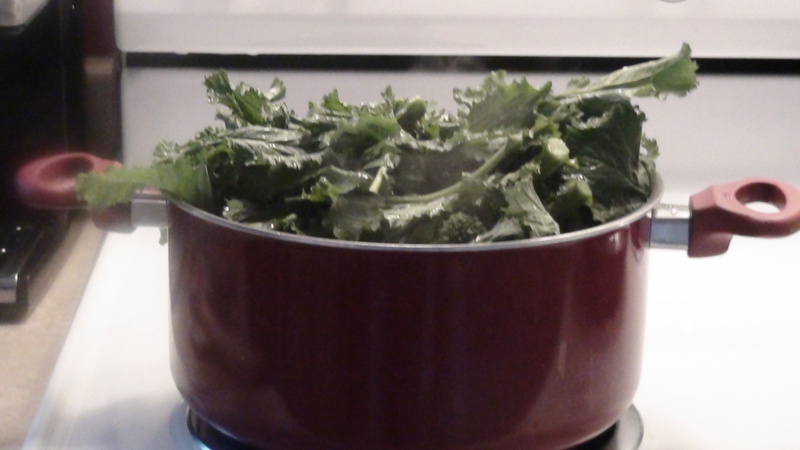 *Antioxidants- While all “Brassicas” (Brussels sprouts, kale, cabbage) contain antioxidants, rabe is a particularly great source of compounds called “glucoinolates” shown to be effective against lung, stomach and colon cancer. 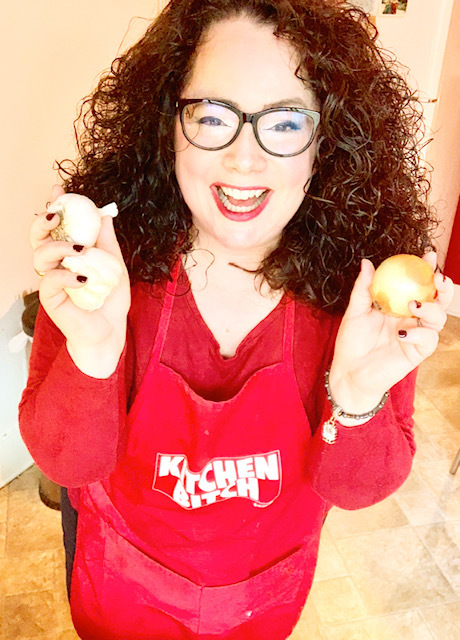 A 3.5 oz serving of rabe contains more than half your daily requirement of the antioxidants Vitamin A and C.
First, cut a small bulb of garlic into decent sized slices. Don't chop. 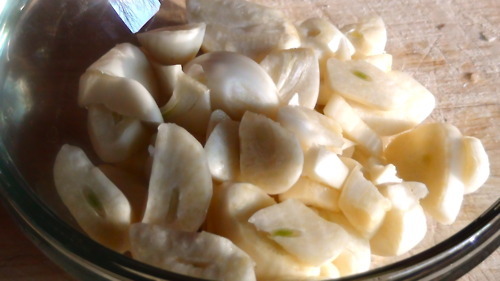 This will let the garlic chunks travel throughout your dish. It's important that they're cut this way so they can marinade moderately, and not suffocate the dish with an intense flavor of the garlic. You want to be able to taste the beautiful bitterness of the flower itself. The most important advice I can tell you is to wash your leaves thoroughly. If not, you'll get grit with every bite. 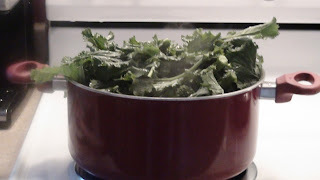 Take your time and wash the broccoli well enough so that every single piece of dirt that was left on the leaves is gone. Then, take your bundle and place them onto a cutting bored. I personally cut the stems off till it's right near the leaves. Some people prefer some stem. Depending on your batch, it may be tough, which is why I don't risk it. But clean clean clean your leaves! 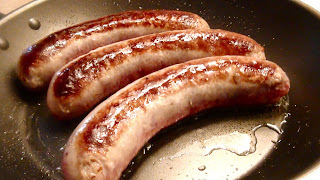 Depending on your dietary needs or likings, I sometimes add sweet Italian sausage to the mix. I fry them up just like this, take them on a cutting board and slice them into round medallions so they fall nicely into the batch of broccoli. You don't need a lot of sausage - for three batches, three sausages is plenty enough. Keep flipping the broccoli around so every leaf and flower gets sautéed and then put a lid over the pot for approximately ten minutes. Turn the heat on low and start boiling your linguini or spaghetti, whichever you prefer and then add it all together and you have a mouth watering delicious dish to serve to your family and friends. 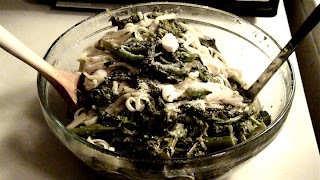 While mixing the pasta and broccoli rabe together, I sprinkle parmesan throughout the entire bowl.